things that shine: Keep Christmas! 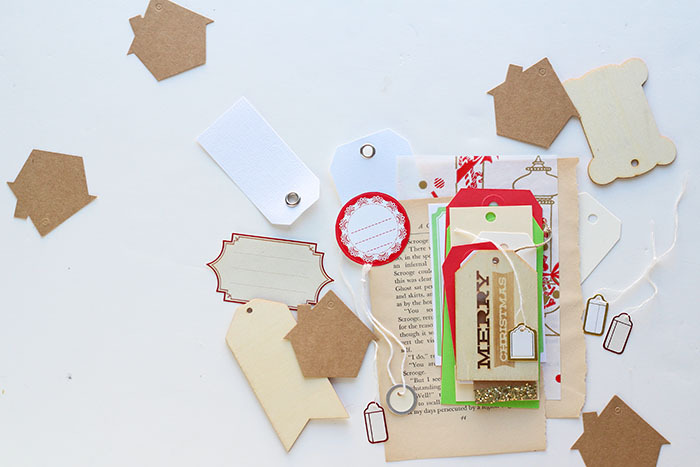 A mini album and paper crafting kit from Things That Shine! Keep Christmas! 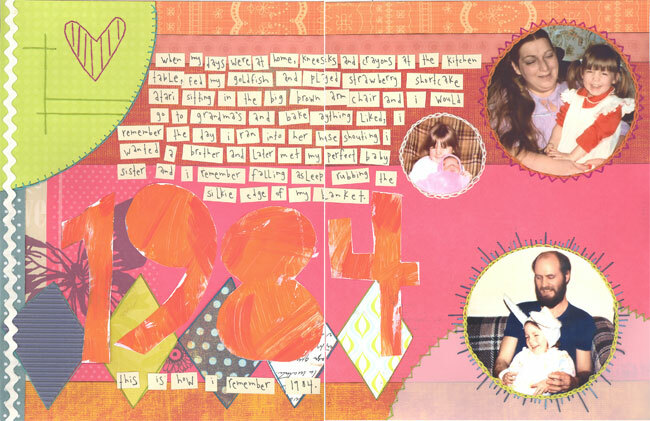 A mini album and paper crafting kit from Things That Shine! Christmas is coming! And Christmas has arrived at Things That Shine! 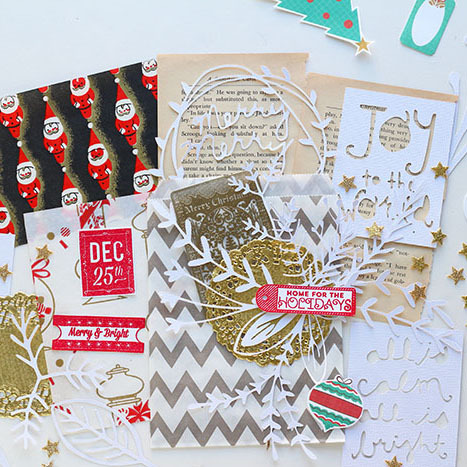 The store is stocked with all things Christmas-y and festive.. including this very full paper crafting and mini album kit! 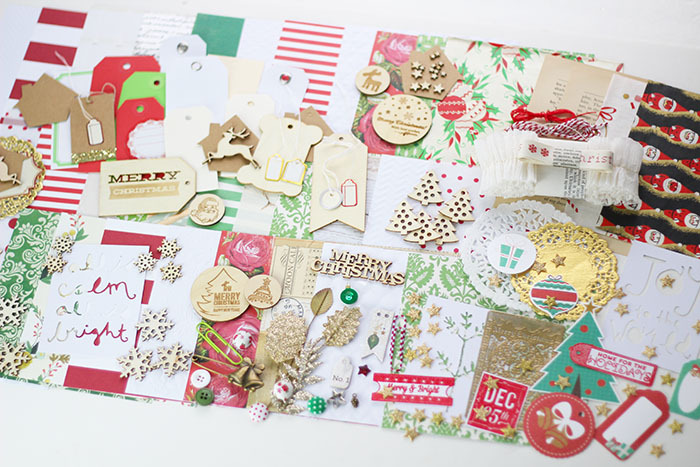 Keep Christmas comes with so much... more than enough to make an entire album to document daily December events.. or make Project Life pocket page spreads and cards.. or use for paper crafting and decor. 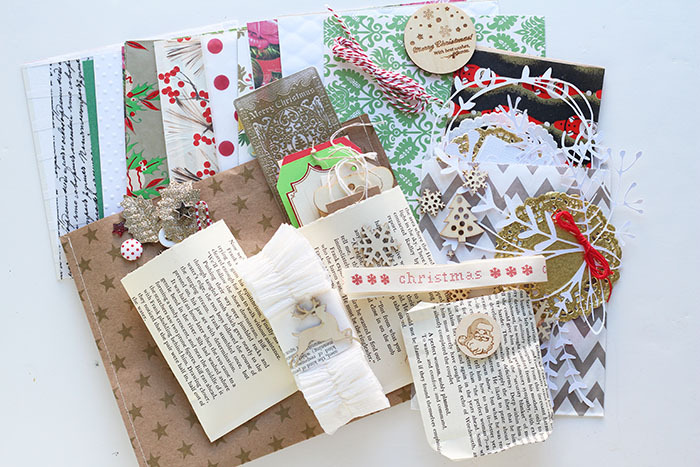 Your Keep Christmas kit comes packaged in lovely paper bags, great for re-using and layering in your albums or layouts. - AND, 2 sheets of vintage wrapping paper. Style will vary by kit. There are 28 tags and labels included! 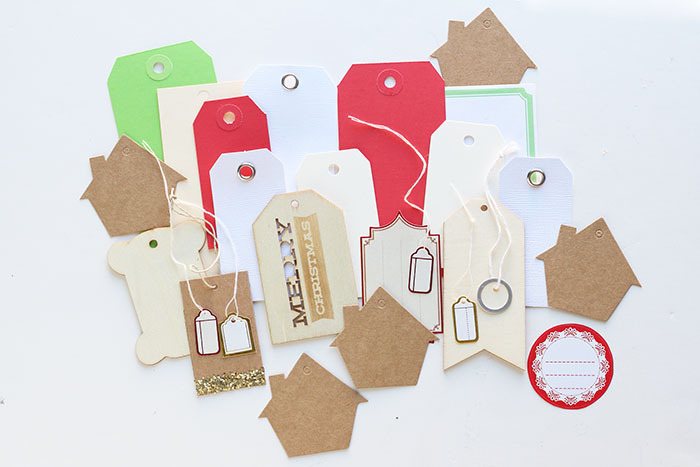 There is such a great variety I've collected for your kit... these tags are great for layering, or you could stamp the date on them to count down till Christmas! Tags included: large red shipping tag, small red shipping tag, (2) green shipping tag, large cream ticket, (2) small ivory tags, (2) small white shipping tags with metal grommet; large white shipping tag with metal grommet; green rectangle label sticker; round red label sticker; gold glitter dipped kraft tag; wood veneer "Merry Christmas" tag; wood veneer bobbin; red vintage style label; (2) red foil strung mini tags; (2) gold foil strung mini tags; 1 metal rimmed cream round mini tag; (5) kraft house tags. An assortment of embellishments.. buttons, clips, a vintage style bell pin, a cute little mini pinecone charm.. gold glitter leaves.. and do you see that adorable mini cookie cutter embellishment? How perfect will that be on your layout about baking Christmas cookies?? :) Cookie cutter style varies by kit.. there are stars, hearts, trees, and gingerbread men! 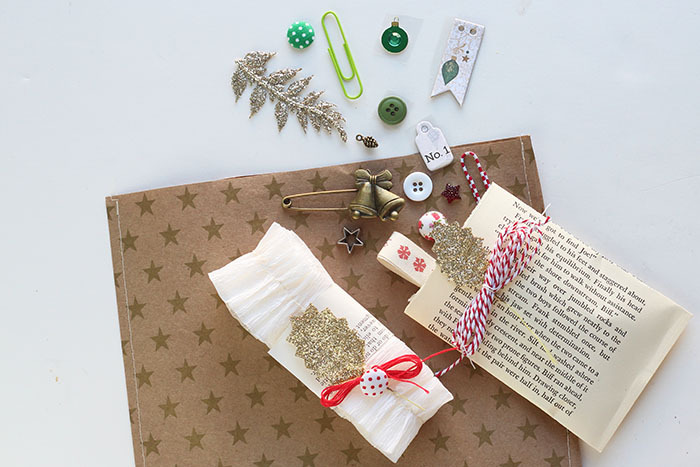 Each kit also comes with ruffled crepe paper, vintage red embroidery cotton, cotton twill with snowflakes and Christmas in red, and red and white candy can striped baker's twine. One full, generous yard of each. 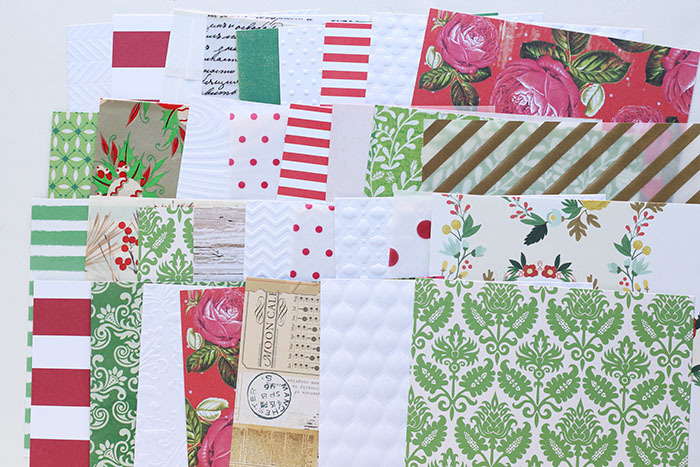 These kits are PACKED with layerables... lots of great little flat bits to tuck in behind photos, journalling blocks and all the other places that just need a little something. THESE are my favourite bits to work with... it's these little pieces that to me, give a layout a full and completed look. - a complete set of Holly Jolly foliage cuts in white. There are over 13 pieces in each set. These pieces were hand painted by me and turned into cut files. - 3 cut cards; each one is 3x4. Two contain sentiments "Joy to the world" and "all is calm, all is bright", and the third has a cute, spindly little Christmas tree on it. - 4x6 paper layers: 2 pieces of vintage wrapping paper, and 2 pages from a vintage copy of A Christmas Carol! - gold foil doilies and white doily. - assorted printed die cuts. 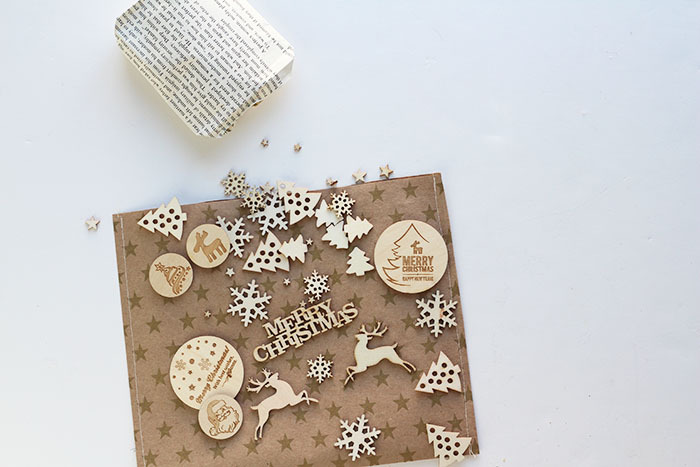 A set of festive wood veneers! 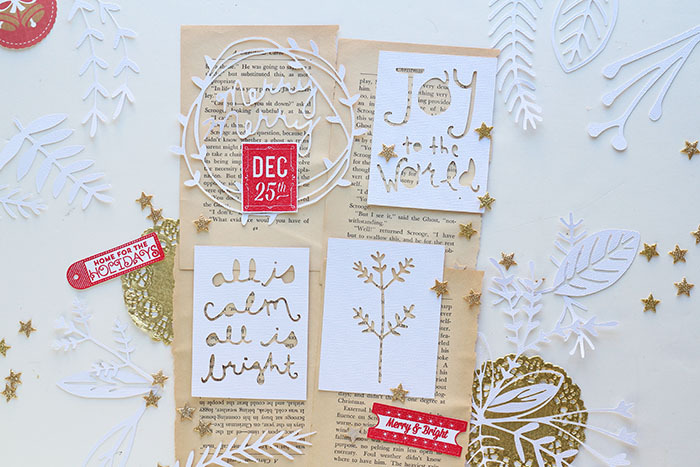 So many cute little pieces.. there are over 45 pieces in this set, including two different trees, two different snowflakes, reindeer, stars, a Merry Christmas, and rounds with Christmas icons and sentiments.